The nation’s biggest sports day took part on Saturday 27th August across 2,500 venues throughout the UK, with 29 being held at Better Centres. 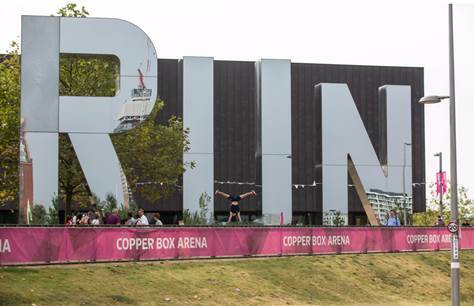 GLL linked with Join In, ITV, The National Lottery and the British Olympic Association to become a key supporter to the National campaign ‘I am Team GB’ focussed on getting 300,000 UK participants taking part in physical activity on this special day. 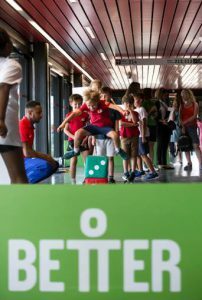 29 Better centres across the UK ran events that provided 4417 local community residents with 154 hours of sporting activity. 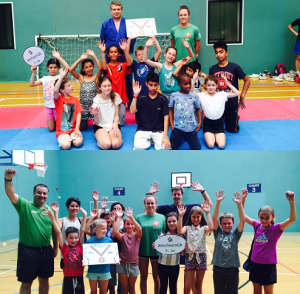 15 GSF supported athletes went out to centres to help organise, coach and encourage the community in free tasters. From trampolining to handball and athletics to skateboarding, there were a variety of sports on offer and we hope that many participants will continue sport and physical activity long term, whether it be recreationally or competitively. There was an International Handball competition taking place at the Copp er Box Arena which attracted many spectators. While the matches were going on there were plenty of other activities taking place around the concourse, and a chance for everyone to have a go at handball. The focus was on families taking part, so there was something for everyone. Activities included were rowing and bike challenges, trampette bounce, boccia, table tennis, long jump amongst many others. Olympians and celebrities also attending including the likes of Alesha Dixon, Max Whitlock, David Florence, Charlotte Dujardin and our very own GLL Sport Foundation ambassador Lutalo Muhammad. The queues to take photos with them was incredible! 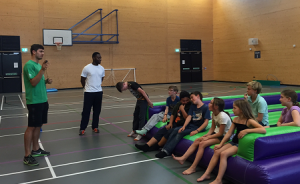 GLL Sport Foundation ambassador and GB Long Jumper Daniel Bramble also attended the event. He helped to coach the indoor long jump and there was certainly a lot of interest and talent. This is our first year supporting Daniel who missed out on Olympic qualification by 1cm. We look forward to supporting him in the build up to Tokyo in 2020. 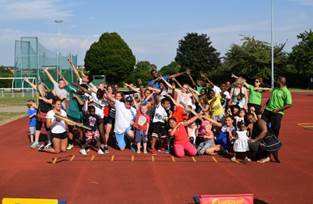 Sutcliffe Park Athletics Track held an I Am Team GB Open Day where local residents were able to try a range of free activities such and Javelin, Archery, Long J ump, Sprinting and Tennis. Local talented GSF Athletes Sabrina and Natasha Sinha supported the event with a mass warm up and assisting with activities. Over 100 people attended the event, with 3 new sign ups and 45 Lesson & Courses leads generated on the day. Guest passes were awarded to winners on the day. Natasha brought down her London 2012 Olympic Torch which caused a lot of excitement for the younger athletes. Both sisters have been on the GSF programme for a number of years and have engaged in the programme and attended many events – we are very grateful and really appreciate the time they put aside for the foundation. 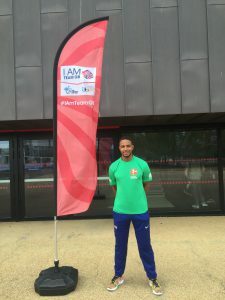 In Tower H amlets the I Am Team GB event was held at Mile End Park and Stadium. 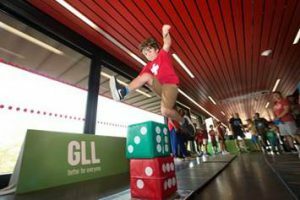 Families were invited to take part in an number of sports, activities and challenges and had the opportunity to meet hurdler and GLL Sport Foundation Athlete Gianni Frankis. 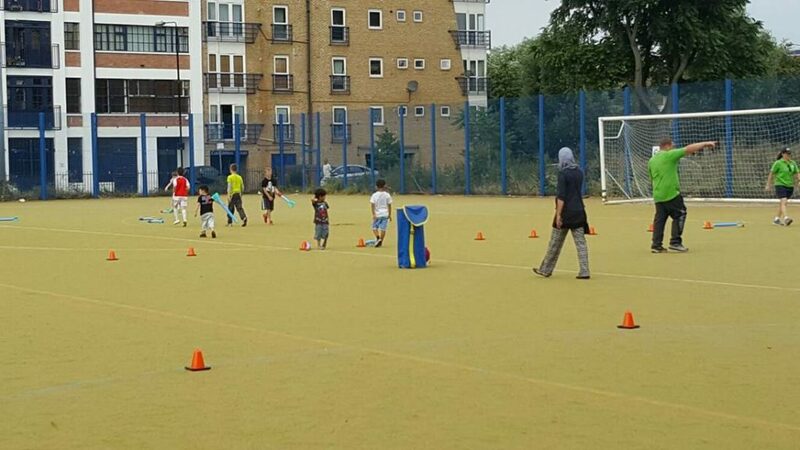 The event showcased some of the activities run at Mile End Park Leisure Centre and Stadium giving participants an opportunity to try a number of different activities and be inspired to continue them after the event, activities included; badminton, basketball, fitness equipment, bouncy castle, athletics and football. 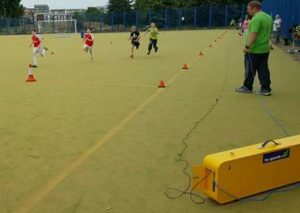 Athletics was the main attraction outside with approximately 40 participants taking part. Thank you to Gianni for coming down to the event – it certainly attracted more participants who will hopefully take a long term interest in athletics. Bobby Griffin, GB para badminton player from Bath went to the Open Day at Culverhay Leisure Centre taking a badminton coaching session. 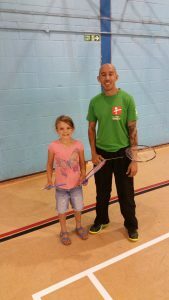 The aim is to start a youth badminton club, and this free taster session certainly helped to recruit interest. Mike Wood, GB age group triathlete attended the Open Day at Kentish Town Leisure Centre where he helped with the indoor triathlon and did an inspirational speech and Q&A session. 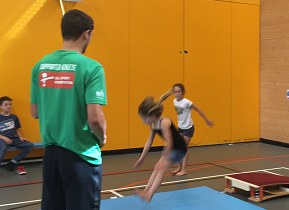 Lucy Bean attended the Open Day at Rainbow Leisure Centre concentrating on swimming, whilst Zoe and Kate Ottaway spoke to the public about trampolining and their club Max Force at Tadworth Leisure Centre. Ben Fox coached a wheelchair basketball session at Croft Leisure Centre in Swindon. 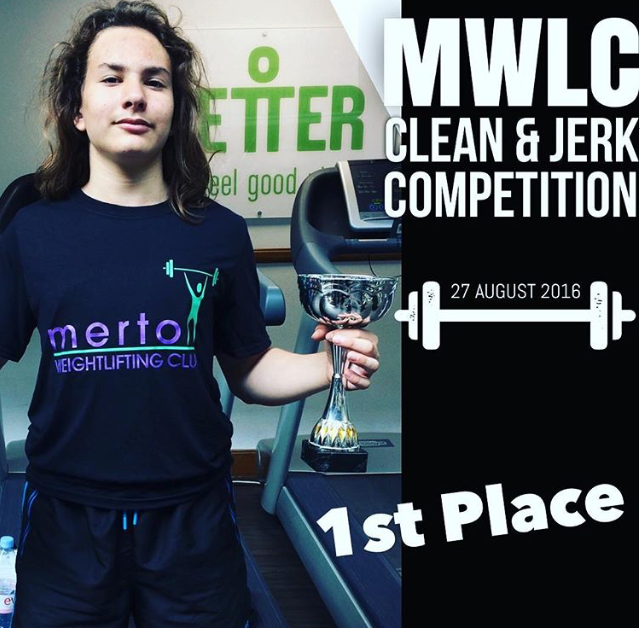 Jacob Paul attended the Horley Leisure Centre Open Day and helped coach indoor athletics amongst other indoor activities. 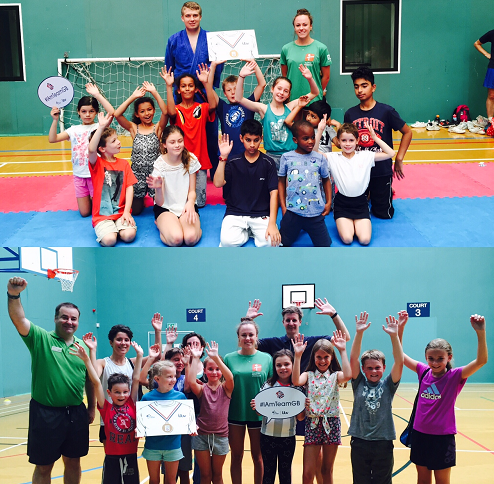 These are just a few of the GSF athletes that attended the Open Days – thank you to all that attended. 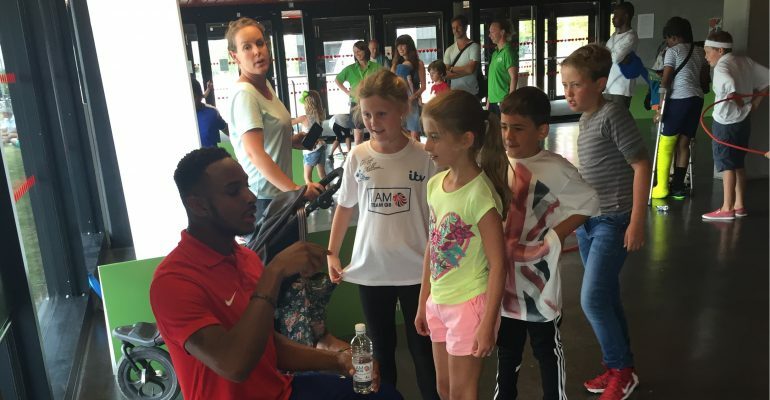 Athlete attendance raised the profile of the Open Days and certainly inspired a lot of young athletes that could be stars of the future. See below the photos from the variety of Open Days that I Am Team GB ran in GLL Centres all over the country. Thank you to all GSF athletes that attended and of course to the community. We hope you are all inspired as much as we are!